Tetris was the first addictive simple puzzle game. I played it on my Commodore 128 (in C64 compatibility mode). It had all the characteristics you see in mobile puzzle games nowadays like Candy Crush. It was developed by Russian AI researcher Alexey Pajitnov who needed a simple puzzle to test new hardware. The game became popular with his coworkers who ported it to the PC. It became popular in Moscow and then ended up in Hungary. Hungarian software developers ported it to different platforms. It caught the eye of Western game companies which licensed (with some controversy) to release it in the West. The name of the game is a contraction of tennis and tetromino. 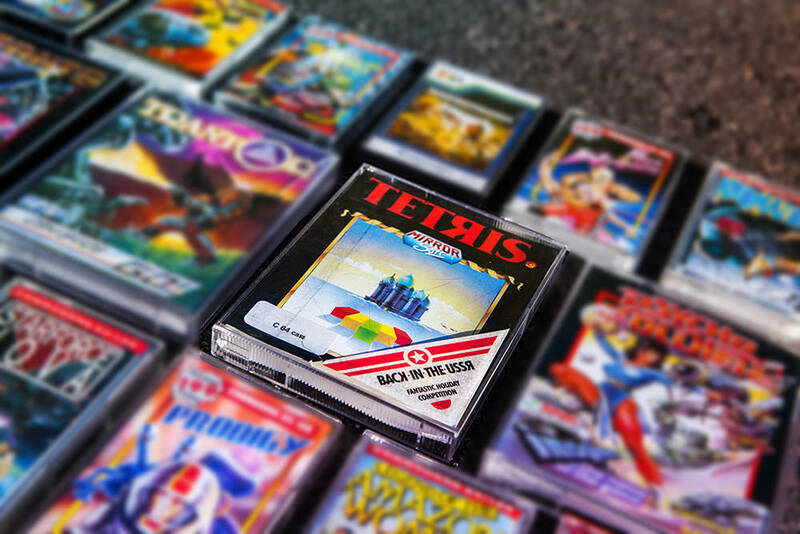 Tetris lives on and a new version was released this year called Tetris 99. It brings battle royal gameplay to Tetris. You can play Tetris online. This is the Nintendo NES version.